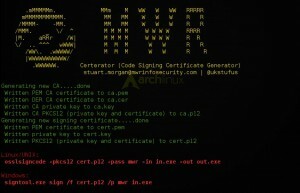 Browse: Home / Certerator – Code Signing Certificate Generator. Certerator is A tool to generate a custom code signing certificate chain and generate instructions to sign a binary. Useful for establishing persistence on a penetration test. 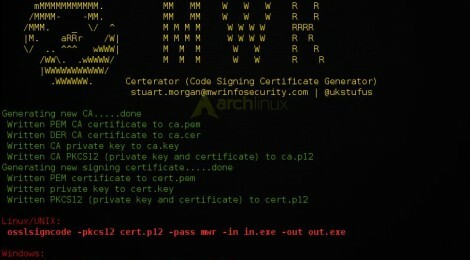 This will generate a CA and certificate (signed by the CA) which can be used for code signing. It will also display the commands to run using both osslsigncode or signtool.exe depending on preference. This has been used successfully on simulated attack engagements to disguise the presence of an implant. # or signtool.exe depending on preference. # the presence of an implant. 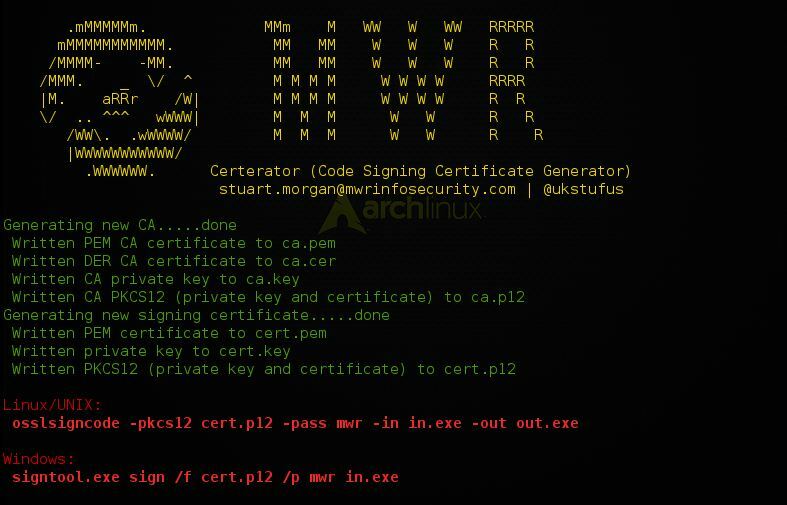 ca['commonName'] = "MWR Root Authority"
cert['commonName'] = "MWR Code Signing Verifier"
← Updates rooty – libpcap based ICMP encrypted backdoor for linux.